I am an orthopedic surgeon at the Cleveland Clinic in Cleveland, Ohio. I do most of my surgery at Cleveland Clinic's Euclid Hospital, a beautiful site on the shores of Lake Erie a few minutes from downtown Cleveland. I have performed over 900 BHR's at Euclid Hospital since the device was approved in May 2006. I have been amazed at my patients' return to function and the strikingly low rate of complications (1 fracture, 1 infection, 1 revision), which is far less than expected with this procedure or indeed with total hip replacement. I manage the Cleveland Clinic Center for Hip Resurfacing, and teach the procedure to visiting surgeons at national and international meetings. I maintain a database and have several ongoing research projects designed to learn more about this procedure. I have lectured around the USA, as well as in Egypt, Dubai, and Kuwait. My training in resurfacing was basically at the source: Birmingham. I visited Mr McMinn in 2006 and Mr Treacy in 2008. Each has a unique talent for teaching and performs the operation differently. However, since I use the anterolateral approach, I have to say that in many ways I figured it out myself. I went to medical school in Toronto (I was born in Canada) and graduated first in my class. I did my orthopedic residency at Harvard, a fellowship back in Toronto, and have been doing hip and knee surgery at the Cleveland Clinic since 1991. I have many peer-reviewed publications, several book chapters, and surgical innovations. 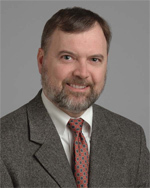 Peter Brooks, MD, is a staff physician in the department of Orthopaedic Surgery at Cleveland Clinic. He specializes in total joint replacement of the hip and knee, and hip resurfacing. He also maintains an active interest in arthroscopy of the knee. Dr. Brooks is interested in pain-free joint replacement, hip resurfacing, and outcomes of arthroscopic surgery in patients over age 60. He has written numerous articles and book chapters and has made nearly 50 presentations. Cleveland Clinic physicians and scientists may collaborate with the pharmaceutical or medical device industries to help develop medical breakthroughs or provide medical education about recent trends. The collaborations are reviewed as part of the Cleveland Clinic’s procedures. The Cleveland Clinic publicly discloses payments to its physicians and scientists for speaking and consulting of $5,000 or more per year, and any equity, royalties, and fiduciary relationships in companies with which they collaborate. In publicly disclosing this information, the Cleveland Clinic tries to provide information as accurately as possible about its doctors’ connections with industry and those of their immediate family members. As of 4/15/2010, Dr. Brooks has reported the financial relationships with the companies listed below. Patients should feel free to contact their doctor about any of the relationships and how the relationships are overseen by the Cleveland Clinic. To learn more about the Cleveland Clinic’s policies on collaborations with industry and innovation management, go to our Integrity in Innovation page.